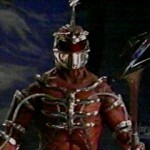 The boys are back from their crossover adventure with the release of Episode 12 – Lord Zedd Interview and Talkin Dino Charge! Talk some toku with your hosts Chris/Kickback, Jordan/Den-O, and Tom/Sentai Tamashii! In this week’s episode, Chris conducts the first ever Talkin Toku Interview with none other than Robert Axelrod, the voice of Lord Zedd from Mighty Morphin Power Rangers. Special thanks to Denver Comic Con for helping set up and coordinate a time and place for the interview. Chris also shares his thoughts on Denver Comic Con. To round off the episode the guys keep the topic on Power Rangers, and more specifically discuss a couple of Power Rangers Monday articles – namely what do we want to see adapted in to Power Rangers Dino Charge from Kyoryuger and what else would we have liked to see adapted from Super Sentai in general in to Power Rangers? It’s a fun conversation as our hopes for a great season with Power Rangers Dino Charge especially with Judd Lynn at the helm show up in the conversation. Take a listen to the episode below and join in the discussion! Click here to download the episode directly to your PC! Click here to view our host’s page for this episode! Click here to see our iTunes page and leave a review! Talkin Toku on Social Media – Follow us! – Follow us @TalkinToku on Twitter! The boys are back from their crossover adventure with the release of Episode 12 - Lord Zedd Interview and Talkin Dino Charge! Talk some toku with your hosts Chris/Kickback, Jordan/Den-O, and Tom/Sentai Tamashii! 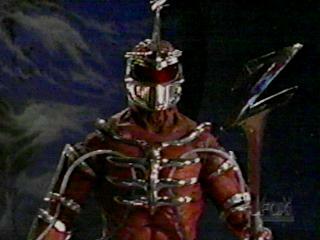 In this week's episode, Chris conducts the first ever Talkin Toku Interview with none other than Robert Axelrod, the voice of Lord Zedd from Mighty Morphin Power Rangers. Special thanks to Denver Comic Con for helping set up and coordinate a time and place for the interview. Chris also shares his thoughts on Denver Comic Con. To round off the episode the guys keep the topic on Power Rangers, and more specifically discuss a couple of Power Rangers Monday articles - namely what do we want to see adapted in to Power Rangers Dino Charge from Kyoryuger and what else would we have liked to see adapted from Super Sentai in general in to Power Rangers? It's a fun conversation as our hopes for a great season with Power Rangers Dino Charge especially with Judd Lynn at the helm show up in the conversation. Click here to view our host's page for this episode! Talkin Toku on Social Media - Follow us! - Follow us @TalkinToku on Twitter! Have the chance to listen to this. It always makes me feel a little sad when there's a convention panel and there are specific people that get asked questions and no one else does. I'm enjoying what I'm listening to so far. I'm about 15 minutes in. I can't say enough great things about Robert. He's a total sweetheart of a guy and was very happy to talk to me. I was very humbled when he called it one of the best interviews he has done, thanked me for MY time, and had his assistant make sure I stuck around for the panel. I made it a point to go get his autograph. He is so awesome. Please make it a point to visit him if he's at a con near you and just listen to his stories.